Behind The Scenes. . Wallpaper and background images in the nyota Trek: Deep Space Nine club tagged: deep space nine crew star trek ds9 nana visitor kira nerys jadzia dax terry farrell. 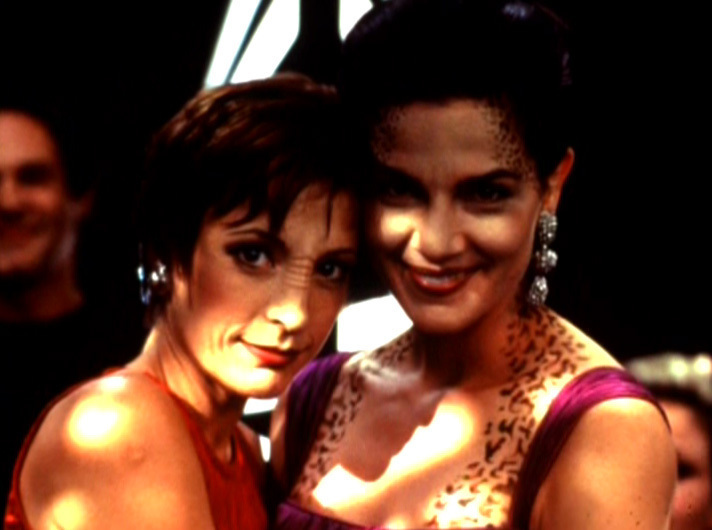 "STAR TREK DEEP SPACE NINE" RETROSPECT: (5.04) "Nor the Battle to the Strong"